Senang cerita kita cuti jer laaa pada hari lahir kita itu. The year of the Water Dragon begins on January 23rd 2012 and ends on February 9th 2013. If the year of the Rabbit (February 3rd 2011 - January 22nd 2012) is a quiet year of domestic and artistic preoccupations, of peaceful and diplomat attitude, the year of the Dragon will be a year of energetic and brave actions, of grand projects. In the year of the Dragon will start spectacular projects and actions, bold and sometimes eccentric or involving insufficiently considered risks. Rush decisions will be taken, sometimes surprising, with difficult-to-anticipate effects, but with high chances of success. The year of the Dragon will be a year of courage, of inspiration on the spur of the moment. 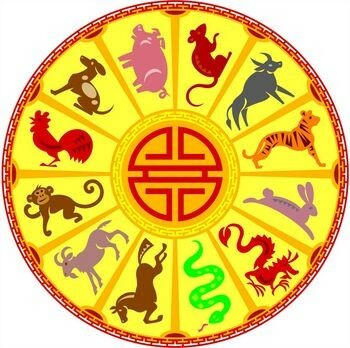 In general, the year of the Dragon 2012-2013 will be a good year at a personal level. It'll be a favorable period for marriages and children, but there'll also be a tendency to spend excessively on the occasion of these events. In business, the year of the Dragon will mark a significant change as compared to the stagnation in the Rabbit year. The year of the Dragon will be favorable to developing businesses and starting new ones or new projects. There'll be the tendency of getting involved in ambitious, grand projects. It'll be a year of spectacular accomplishments, but also of disastrous failures. In the year of the Dragon, high earnings can be achieved, but sometimes with equally high investment and/or risks. To succeed in business, connections and alliances will be important, but it's the visionary leader that will have the essential role. At a political level, the year of the Dragon 2012-2013 will bring intensified struggle for power and polarization of the political spectrum. The motto of the year will be "the end justifies the means". Manipulation, bribe, etc. will be scrupulously resorted to and we'll witness tough back fights. The advice of eAstrolog.com: carefully consider what you want to achieve, what your possibilities are and where you're headed! In the year of the Dragon 2012-2013 you'll experience sudden changes and different situations which you won't have time to dwell on. If your objectives are clear and strategically planned, you'll be able to take advantage of the unexpected opportunities, making fast decisions.